When the Nintendo Switch launched, it was a foregone conclusion that the Wii U would be axed, but many wondered where the new hybrid would put the 3DS. The now antiquated console has certainly had its time in the sun, and given that the Switch is a technically superior handheld, it seemed likely that the company would shift its total focus to the new platform. While it may be true that Nintendo is mostly focused on the Switch now, the 3DS has stuck around for longer than expected, and recent comments suggest that it isn’t going anywhere. The Nintendo 3DS family of systems has reached a global cumulative series sell-in of 72 million units to a broad array of consumers. Nintendo 3DS boasts a rich lineup of game software, with more than 1,000 titles across a wide variety of genres. We will continue the Nintendo 3DS business by leveraging its installed base and rich software library. We believe it is important to leverage the rich library of Nintendo 3DS series titles to drive sales with existing Nintendo 3DS owners as well as with consumers who recently purchased the Nintendo 3DS hardware, and are investigating strategies for doing so. In addition to the titles currently on sale, we have announced the coming release of the titles shown here. We are even preparing new software for release in 2019 and beyond. Our plan is to continue maintaining this business by taking advantage of new titles like these. What do you think? What do you think the company is working on for the 3DS? How many more years do you think Nintendo will keep supporting it? Share your thoughts in the comments below. Funny to think that the 3DS went from being a potential failure to one of Nintendo's most unkillable systems. I love my 3DS but it’s time to put it to rest. Let the Switch slug it out on its own and it’ll have a library of games too tantalizing to deny! The 3DS follow-up: 3DSi. The "i" stands for immortal. Stop supporting this system. It's bad enough that Luigi's Mansion is being remade on it and not the Switch. I can't handle the 3DS' incredibly subpar resolution anymore. I love the system, but the resolution just kills it for me in 2018. You've made a hybrid console, yet you refuse to focus solely on it. I understand the business sense in continuing support for something that makes bank, but I also believe in putting all resources towards something that'll be guaranteed to perform even better in the future. I hate the idea of support stagnation. To be fair, I still see interest from the young ones for the 3DS. I don't mind it myself, but I just have far too much to play in the switch right now. This makes me wonder if Nintendo isn't planning on continually sprucing up the 3DS line for some time yet, like with the DS before it? I honestly thought that it wouldn't continue past 2018, but the recent Direct showed otherwise. Of course, they said something similar about the Game Boy family, and look what happened there. It'll be interesting to see how things pan out. In the meantime, I'll continue playing catch-up on my 3DS library. I still Love my 3DS, even though i play Switch oftenly than my 3DS now. Btw, better Nintendo release a New Update that Allow us to play ALL REGION 3DS games. Who know's maybe Nintendo is going to release another update for the NEW 3DS/2DS XL where they will be-able to be used for the Switch as a second player or to stream Switch games to for people that are looking for a more portable version. Are we really mad that Nintendo is supporting a system long term for once? It’s not it’s hurting Switch. All the best talent are making Switch games. 3DS is getting remakes and quirky little games like Sushi Strikers and Warioware. Oh no how will the poor Switch owners survive not having Luigi’s Mansion when they are getting Smash Bros, Yoshi, Fire Emblem, Pokemon, Mario Tennis, Donkey Kong, Metriod Prime 4 etc. More VC support would be nice it's been well over a year (longer if like me you still have a original model) since the last retro games were released on it. Earthbound Beginnings, Double Dragon 3, Bayou Billy, Uforia, ice hockey, StarTropics 1 and 2, donkey kong Jr. math, pac land, lode runner, dig dug, Mappy land, stinger, dig dug 2, flying dragon secret scroll, baseball sim 1000, flying warriors, Kung fu heroes, little ninja bros. Are all on wiiu vc so why not on the 3ds or games like Castlevanias Legends, or maybe tg16 games that the Japanese 3ds got, or they could put SNES titles on all models. Oh, Nintendo drops their old consoles as soon as they're getting ready for a new system! Nintendo is stupid! Oh, Nintendo clings to the past with their old systems! They need to move on! Nintendo is stupid! Damned if you do, damned if you don't lol. @Pikachupwnage Let me turn that around on you, because that line of thinking is flawed. "Oh no, how will the poor Switch owners survive not having quirky vacuum centric gameplay mechanics when they are getting completely unrelated genres like a fighting game, a platformer, a strategic JRPG, a monster collecting JRPG, another platform, a fps etc." That's like saying "Stop complaining about not getting this racing game that appeals to you, you should be happy you're getting this popular puzzle game that's nothing like the genre you like!" I love my 3DS and it's probably my most played system ever, but I haven't touched it once since the Switch came out. Don't have anything against them continuing to support it with remakes and minor releases here and there though as long as their main focus with their big games is on the Switch. Should be discontinued by now this 3DS if you ask me. I mean sometime by the end of this year Online Functions of the 3DS and Wii U will probably go discontinued, and there is a time where we may put things like Swapdoodle and Going after Badges aside. 1: The 3DS is a massive storehouse for a load of epic titles for me personally. I have titles from the DS, GBA, GB, NES, SNES, GBC, and dozens of indie DL titles that aren't present anywhere else. 2: Nintendo supporting it creates a first-world problem that pisses off idiots. @Pikachupwnage - Thank you for saying the thing I am thinking. The 3DS will stick around until they either release a cheaper Switch, or the release a new model Switch and drop the price of the Switch enough to have an "entry level" version. Nintendo has outlined their plans for E3 on their official Facebook page. It only mentions the showcase will focus on Switch games releasing this year. Not a word on 3DS titles. Every new 3DS game we know about is a remake or sequel that uses existing engines and assets. Seems to me Nintendo is putting the bare minimum effort into making “new” games for 3DS to justify keeping it on store shelves while milking the legacy game catalog for everything it’s worth. That will work for a while, but ultimately the 3DS is circling the drain. Sales and interest are slowing down. My point is it’s petty to wish the 3DS dead because it gets a handful of small and mid size games and act like it’s somehow hurting Switch in any meaningful way when it has all these big titles coming. It happens all the time on Facebook, gamefaqs etc. People need to stop being so toxic about 3DS. Accept that it still makes Nintendo money and that a solid amount of people still enjoy 3DS. If people complain they should complain respectfully to Nintendo instead of whining about how stupid they are. Ahahaha, this is absolutely hilarious. I love seeing people getting annoyed over this. The 3DS is still a nice console, let them make more games for it. I betcha all those Switch owners who want the 3DS dead would be super disappointed. I'd hardly call what they have for the 3DS this year support. Animal Crossing Gamecube remake would be neat for 3DS and Switch. If they mean 'support' as in less than one game a month, and part of that being ports, cross-platform, or sequels using a bunch of assets from their successors. But people are kidding themselves if they think what we're getting now holds a candle to 2013 and 2014. @Pikachupwnage The problem is that so many of us have moved on from the 3DS that important releases like Metroid: Samus Returns and the Luigi's Mansion remake are things we want to play, but just can't get around to. If the 3DS had a successor that had better resolution and post processing features that could make 3DS games at least look smooth (no more jaggies or pixelated models) then everything would be fine. So glad about this. One of the best gaming platforms ever made. Looking forward to a true successor in the future. Hopefully a 3DS 2. I've been playing my 3DS more than the Switch which I have barely touched since Odyssey. With the Pokémon company opting to work on Switch games, i think the only Nintendo games we’ll get are ports — not entirely a bad thing imo. I like that Nintendo will support the 3DS with stuff since I’ve kept mine still. I hope that they port more GameCube titles to the 3DS like Windwaker or Mario Sunshine. And I hope they release more SNES games on the VC for it. I am absolutely ok with that. I have 3DS XL, New 3DS XL and New 2DS XL. Don't ask me why! I am ok with some Pokémon remasters on the New 3DS if that is NOT going to hurt the Switch Pokémon ofc! @-Juice- The problem is that just as many of you have moved to the Switch, many of us haven't or don't have a problem enjoying both. There's always things people want to play that that aren't available on their consolse/handheld of choice, and asking to kill the 3DS isn't the solution. You can ask for said game to have an improved version or even a straight port to the Switch, without the need of screwing the people that haven't been able to upgrade. By the way, they simply opted to remake Luigi's mansion on the 3DS because the engine was already there, so even without a 3DS that wouldn't change. If they want a Luigi's Mansion on Switch they are working on it regardless of the existence of this one, and it's probably the third entry. Remember the 3 pillars? Yeah, more like 2. History has taught me that Nintendo will say just anything to keep sales alive. But then bank on people having short memories when they do what they really want. @-Juice- It’s pretty much no different than if you moved from PS4 to Switch and can no longer play Sony games. If you want to play all games, you need all systems. Nintendo doesn’t owe it to you to give you every game they make on the switch. It’s not like Nintendo ever promised that they’d be doing away with 3DS, so it seems unfair that people make it seem like that’s what Nintendo said just cuz they made a console that could also play like a handheld. It’s funny that you’re saying that the 3ds is only getting remakes and quirky little titles like Sushi Striker. Arguably you can say that’s what the Switch is getting. I suspect 3DS will prove to be a ten+ year console. Good job Nintendo. I say as long as it's selling, keep it going. With such a large install base that still buys games they'd be insane to not support it. "ports, cross-platform, or sequels using a bunch of assets from their successors." ...you mean like what the Switch is getting? @GameOtaku baseball simulator 1,000 on the WiiU?! I had an impulse to tear it out of storage before reminding myself I installed it on my NES classic. I would totally rebuy it (had on NES as a kid) portably on 3DS or Switch though. I have never owned a 3DS or 2DS but I do own a Nintendo Switch and have actually been thinking about picking up either a 2DS or New 2DS XL because right now there isn't anything really that is out or coming out for the Switch that I am interested in playing right now, done have Zelda Breath of the Wild, Mario Odyssey, and Mario Kart 8 Deluxe. Were as with the 2DS there is quite a few game on there that I would like to play. Like the Zelda Remakes, Link Between Worlds, Kirby Planet Robobot, Metroid Samus Returns, Monster Hunter Series, Luigi's Mansion, New Super Mario Bros. 2, Super Mario 3D Land, Etc. But I guess I will just hold out until e3 to see what is actually going to becoming out for the Switch this year. crowd, but I changed my stance. 3DS is a legendary ol’ friend and deserves continued respect and support. But I personally prefer the Switch now. @-Juice- that's assuming that Switch isn't likely to get Luigi's Mansion 3 at some point in the first place. Just like it's already getting a new Shin Megami Tensei "instead of" Strange Journey. As for ports of pre-Gen7 games, 3DS is just as portable and capable for them; for all we know, not needing to invest extra into souping them up to HD might actually encourage more otherwise hard-to-access ports like these. @Angelic_Lapras_King GBA Pokemon titles as in, Pinball and such? After all, Omega Ruby and Alpha Sapphire have happened, and instead of Leaf/Fire we got the originals in VC. If anything, I'd welcome DS flagship ports more - those cartridges, too, are only getting harder to get one's hands on (especially when you country remains a seeming pariah for many importers and your government taxes any cost above 22 euros per month). I mean, not that I wouldn't welcome a Pokemon Pinball or the early Mystery Dungeon titles either. GBA VC won't happen on the 3DS. Not just because of the Ambassador program, but also because of how the system loads the games. It doesn't work with the way Nintendo wants the VC system to be. Whilst you could argue that SNES VC could work on all models in a way that fits their outline (that outline being a smooth experience and interface, with access to certain features including the ability to create restore points), not even the hacking community has managed to make a VC-esque way to run GBA games (instead opting to run them the same way as the Ambassador titles, which basically involves running the GBA games built into the way the 3DS has DS backwards compatibility, and the DS had built in GBA backwards compatibility (which is the same as why GameCube VC wasn't on the Wii U)). I think people are more hyped for the possible Switch e3 announcements than 3ds e3 announcements. Keep it coming I say. I'm looking forward to Dillon's Dead Heat Breakers and Luigi's Mansion. Even if I do prefer my Switch now, that doesn't mean I want 3DS to go away. The 3DS is a legend! Just because it can't use normal vc functions doesn't mean a thing. As long as you can still play the game and save your progress it'd just be like any other digital title. I don't see the problem with Nintendo supporting the 3DS for a little longer. The install base is just too big to ignore and the system is still selling relatively well. It makes all the sense in the world to keep supporting it until the very last. I loved the 3DS, but I've not touched it in about a year and can't see myself going back to it now the Switch is here. Nintendo deliberately went out of their way to announce Bowser's Inside Story way ahead of time just so no one could say they stopped. Personally I thought it would be gone in 2019 but maybe they'll string it out longer, though I note that Kimishima puts a lot of emphasis on 'leveraging the existing library' whatever that means. A much bigger budget range? Compilations? As for new releases, if they can continue to make money from remakes and ports farmed out to external Devs they'd be silly not to. As long as it doesn't impede Switch development it's actually a nice change to see them not simply dump a machine when its successor is available. Well they’d already announced another Mario & Luigi remake for 2019, but “beyond” is a little surprising. And there’s still a market for a lower budget handheld than the Switch, but apart from Hey Pikmin, 2027 onwards just seems to be remakes. @Pichuka97 Others and I have tried to explain it to him for years (literally), and even experienced people on the matter participated and it didn't work, so just for your own sake, I don't recommend you to invest time on that. All they said was that the new could play them they never said the original could not. It makes massive business sense to Nintendo. And we all want Nintendo to do well. It is also for great for younger gamers, people who can’t afford a switch and many other people for differering reasons. It isn’t harming the switch; if it was, Nintendo would have stopped producing it. I like my 3DS and even though I haven’t played it in a while, I still have games like Luigi’s mansion 2 and many others I have yet to play. I will also be playing the remake of the original LM, even though I have played it to death on my gamecube. Y'all complaining about the 3DS should consider yourselves lucky, you're getting the best. The Switch is massive... just hope Nintendo doesn't make another dedicated, more pocketable, more affordable handheld with better battery life. If Nintendo can make 3DS an accessory of Switch, then it will live on for quite a while. Since Switch is modular, through some LABO gizmo magic: Nintendo should be able to integrate 3DS into the Switch like a transformer toy. @Meaty-cheeky This will be the best firmware update ever! Stability update ... that removes the region lock!!! Switch the least powerful of new systems can play Doom extremely well, yet you keep on arguing the original 3ds can't play older snes games? Yeah the new 3ds is such a nice piece of hardware isn't it! It can play a handful of exclusive games and snes vc! Yep it's worth every dollar, franc, peso and yen isn't it. Ironically it seems like getting into a system in late life can be good, as it means many used cheap games, the crap has been filtered and there's a ton of games already. Well, unless they just outright close eShop or online functionality in 2019. Also stuff like account being linked to hardware or region locks are annoying when the Switch doesn't have those limitations. The 3DS is an Evergreen console. It can not die. The unique mechanics, great library, the still strong sales and the overall quality of this little beast are the factors that keep a good system alive through the years. This is great news and I hope it’s true and not some talk. i agree. The 3ds can be a perfect cup-holder. Hey, I don’t mind. If a games good, I’ll play it on any system. I'm very surprised, but I'm delighted because I absolutely love the 3DS. It's VERY portable (unlike the Switch), and many of its features, (mostly the dual screens) are very useful and/or fun to have in a great deal of games. Backwards compatibility to probably the best gaming library ever (the original DS) is also something that sees use from me on a day to day basis. I don't understand at all why people bash on the resolution or say that in a world where Switch exists they don't want to touch their 3DS anymore. Why though? I don't really understand how could something be unbearable that was great like 5 years ago. Don't you guys ever play anything on older systems? If not, why? I regularly play games from every console generation (starting from 1983), and the resolution of stuff like the NES or Game Boy never bothered me, and they are below the 3DS's capabilities. can we have games using the 3D effect then? Maybe some more New 3DS stock as in UK can't seem to get hold of any. Nintendo should focus 100% on one system for the first time since NES, since Switch is also a portable. Sounds to me like they are going to keep the 3DS as the budget option. Instead of two streams home and portable, there'll be two streams main console and budget. We might see some Switch to 3DS ports like they've done with Wii U titles. Remember that DS lived for about 7-8 years before it was discontinued. Nintendo plans to ship just 16 million units of 3DS software during the 2018 fiscal year, so I can't imagine their 3DS support being significant at all in 2019 when that forecast will be even lower. @EvilLucario To be fair, Nintendo dropped the Wii and Wii U support a good year before their new system was out. We got one or two niche games on the Wii in its last year, and they didn't even develop those themselves. Meanwhile, they've launched a superior handheld, but they're still supporting the old one for at least two years when they also have another handheld. And I don't mind them supporting the 3DS, that's good. But I would prefer dual releases at this point. I wish they would just make these games for both systems. The lack of WarioWare Gold is especially going to hurt (for me). The 3DS just seems so outdated today. Considering the calibre of recent and upcoming 3DS releases, I dread to think how phoned-in they're going to be in 2019 and beyond... Maybe remakes of 3DS remakes? Mario Party: The Next 100? Anyone who says the 3DS should die has no business sense. Switch is already a success with or without the 3DS being around, and the 3DS still sells a lot. In Japan the 3DS sometimes sells more than PS4. Nintendo would be insane to drop support for the 3DS considering how much it still sells. As long it's profitable they will continue to support it. Personally i'm more than happy with the huge library the 3DS got (alongside all the DS games backward compatible). But as long it gets more games i'll keep buying them, currently looking forward Persona Q2 and Etrian Odyssey X.
I don't get the people that wants the 3DS to rest in peace? I just don't see how some of the games that are designed for the Dual Screen are going to work as well without it. Honestly they have two paths to take from here. Roll out one a sequel that is closer to a Nintendo Phone or one that acts as a classical controller killer. If they only stick with the Switch I will Sigh. Edit: I would say this, even the Wii U still has functionality that is unique and cannot be replaced. I was surprised that they didn't continue to support the Wii U with Switch ports seeing how easy that would have been. Even if they overlapped in function the fact is that Nintendo needs to realise that they are just selling a product. Its like comparing an iPad mini to an iPhone S. Nothing wrong with two similar products. Or they'll support the 3DS while it's financially viable (and an estimate of 16 million units of software this financial year suggests that won't be for much longer) then go Switch only, releasing all manner of variants.
" I don't really understand how could something be unbearable that was great like 5 years ago. " I didn't think 3DS looked great 5 years ago (Vita was out then). Ever in fact. I've kept a 2DS around in case my kids have any interest in a couple of years but I think it looks awful now. @electrolite77 Which is what I suspect is the case. The 3DS has an advantage over the Switch and that is that it can act as both a classic controller and a phone like device for your smaller pocket. That why it deserves a proper sequel and not a funeral. When the Switch starts retailing for less than 200 it'll begin moving into the same market as the 2/3DS ie, younger or more cost conscious consumers. Only at that point will Nintendo start to put it out to pasture. To the end user (you), it wouldn't matter. However, Nintendo likes to have a certaon level of quality control over how their VC titles run. They want to ensure they can run in a way that doesn't tax the hardware (which some GBA games could do, die to the clunky methods used), as well as having an interface that they're happy with. Emulating the GBA within the 3DS doesn't work very well, due to the hardqare differences, which is why the hacking community chose to just inject roms into the Ambassador titles, over emulation (like with the really bad quality SNES VC that was made to work on the original model 3DS by the hacking community). Either Nintendo sticks to their word from 2011 where they said they wouldn't do GBA VC, as well as keeping up the quality they feel happy with, or they can release a subpar product that people like you will only complain about anyway, due to it not being what you wanted. I still play with my 3DS and I'm wating for the european release of Attack on titan-future coordinates. @electrolite77 Okay, but is having top-notch graphics the only reason a game could be enjoyed? Is it worth missing out on literally tons of incredible games just because modern games look better than them? If Nintendo learns from history they will realise that their products look and act timeless and thus should function and be supported as such. Like Apple, there's nothing wrong with selling both an iPad, iPhone and iPod at the same time. Think about how cool it would be if a Nintendo 64 had continued till today with modern specs. Or a GameCube. I don't think they would ever have a fail product if they continue to just support them till the end of the earth. That said, I'll be happy with a 4k Nintendo Switch Dock that focused on specs, streaming and download and ran Nintendo's version of Apple TV, XBOX Live and a Kindle. As much as I love 3DS it's time to let the past die. Kill it if you have to. Another way to look at this news is that Nintendo is aware of those people that are predetermined to call the Switch a handheld than a hybrid. Nope, this is Nintendo's response. Its console days live on in the Switch and the handheld division just goes for a big boost. This makes you wonder if Nintendo would consider a HD, faster backwards compatible, portable only new new 3DS. I'd consider buying it - especially if they kept the excellent form factor (which is still infinitely more comfortable that switch as a handheld), and it really was backwards compatible. If they removed 3D entirely though - forget it - I like all that makes the 3DS the 3DS. A true generation 2 would be interesting however. The Pokemon vc doesn't have normal functionality like other titles so the GBA games act just the same. ffs, just dump it and get those staff to work on the Switch. Given that almost all major 3ds titles over the last year or two have been remakes/ports/remasters, I imagine that most new stuff will be the same. More GameCube ports maybe? Love it, love it, love it. 3DS Forever. @-Juice- Luigi Manson and Metroid 2 are important releases? A game everyone said was bad when it came out originally (Metroid 2), and a game people point to and go "Yeah it's cool". I never saw a demained for these games like Mother 3. Also cool to ignore fans getting Prime 4 on the Switch, the games fans have been demaining for. Yep how dare Nintendo put one of the least like Metroid games on the 3DS. These people who are saying to stop supporting it is not thinking of others, they just don't get it. Nothing is wrong with the 3DS being supported (ps vita is still getting supported too by third parties, and that is fine too). Not everyone who owns a 3DS has a switch, just leave those people be, so they can be happy with it. I love the 3DS and it would be awesome to see atleast another iteration of it in my opinion, it still is the only mainstream handheld to offer stereoscopic 3D , which would be great to see the 3D incorporated in more titles on the system like the 3D Classics what happened to that ? I really liked the 3D Kirby and 3D Kid Icarus it would be awesome if the Super Nintendo Classics were in 3D . But none the less, I still pick up my new 3DS XL and play it in my opinion I hope they keep supporting the system atleast untill it gets a much deserved replacement upgrade system with the 3D effect still an option, one can certainly hope so which I for one do. I feel like a big missed opportunity was not putting a 3ds cart slot on the switch and just giving the switch full access to the 3ds eshop. CPU code should be able to run natively and it would probably just need a wrapper for gpu code which the switch could handle no problem. Support for NES went to 1994 at least... didn't hurt the SNES at all cause the focus was still on the SNES. So the 3DS gets Luigi's Mansion 1... it's not LM3, which if it was coming, would likely go to the Switch. And Return of Samus, though a new game by design, is a rebuilt old game that already existed... meanwhile Switch moves into a new Metroid story with Metroid Prime 4. The moral is, just play the system(s) you want to play and keep it moving. If everyone wants the latest and greatest, we ALL already know which system these days to turn to, and that's that. They're going to keep it on life support until 2021 just to sport the "10 years" label, aren't they? If nothing else, they should port more Snes games to the 3ds Virtual Console. It's take little cost to do so, and add a semblance of activity even if no new releases takes place. There's still a ton of good Snes games from Konami, Square soft, Capcom and others that haven't seen the light of day. @Octane I get that, and for the record I don't mind about the 3DS latching on. But I think that when you move onto a new generation, you have to move on. I just hope that Nintendo sticks to the Switch going forward and not make a 3DS successor, because supporting two systems in this day and age is far too difficult. This is great news for me. I’m still absolutely loving my 3DS. It’s my favorite system- yes even more so than Switch. It’s priced perfectly and has an absurd amount of value in the games and experience for that price. I still play my 3DS a lot. Currently playing GTA: Chinatown Wars on it - a DS game!!! I like my Switch as much as the next person, but I've still found myself playing the 3DS more than that. It's much more convenient to me as a portable system and has most of my favorite games on it. Besides, the system is still making money for Nintendo, so I say go for it. I must emphasize just how much I adore the 3DS. For its great games and altogether versatility. However, I think it is time that they focus their marketing on the Switch. Being both a home and portable console. Not that I have a bachelor's degree in economics or whatever, I'm not even in college yet-- I think it would please consumers if the primary focus be the Nintendo switch and dishing out quality titles for it. The 3DS had a fantastic run, but please N, time to move on. I don't see this happening. The public will walk away from the 3DS and they will be forced to stop. I don't mind them doing smaller titles or remakes on the little guy but if they continue putting major games on it instead of the Switch, people will get pissed pretty quick. I've really enjoyed the 3DS and I have a lot of good memories playing it and taking it along with me to many places. Glad that it's not over quite yet especially since the Switch is just a little bit too big to carry around everywhere. Awesome! Gimme more. My 3ds is going with me on vacation. My Switch is not. The more games the better! Also.. I love it that the 3ds was awesome before Switch was out. Nothing was wrong with it. Now a year later most of the N-fans hate it and think it's outdated. Rule of thumb: everything Nintendo is amazing till the follow-up can be bought in stores. I tried to play my 3ds again this weekend and after a long time of not playing and being used to playing games 1080p and higher i was so bothered by the low resolution of the screen. 240p isn’t going to cut it for me anymore, if they want to keep on supporting the 3ds for years to come I would release more powerful hardware. People would buy it. The 3DS has been my favorite console I have ever owned, and so I don't mind if it sticks around awhile longer. The Switch needs to be the main focus now, but I appreciate giving a little support to my favorite console. I'm also one of the select few who LOVES the 3D effect. As I am not like most people, I JUST bought my "New" 2DS XL console 2 months ago. So I for one am looking forward to what they produce for the console in the future. In the quoted portion of this article, they specify that they named actual games that are going to be released. If that's the case, why the hell did you not include the titles? Would have been super helpful you know! No small number of 3DS-bashing NL users can kill the 3DS, hurrah! @Pikachupwnage I wish I could heart your comment 1000 times. It's so frustrating that people want the 3ds to die. The system is still selling (heck it's expected to sell at least 4 million this financial year) and it's uncharacteristically being supported by Nintendo unlike how they typically throw the old system under the bus the moment new hardware comes out (look at the gbc going to the gba, gba going to ds, gamecube to wii and wii to wii u). I'm happy to see Nintendo change and actually support a system long term for once. In addition like you said, we have freaking smash bros and dark souls coming to switch this year but people are mad about ports/remakes of luigi's mansion, captain toad, mario & luigi bowser's inside story, etc. It makes no sense to me at all and is times like this where I'm glad Nintendo doesn't listen to its fans advice. This makes me believe even more for a remake of Pokemon Diamond and Pearl. If it's not coming 2018, then 2019 here we go! haha. I haven't played my 3DS since Ultra Sun & Moon that I played for a couple weeks so it's been around 5 months. I have zero wants for anymore games to hit 3DS, i'd much rather play them on my switch now. The 3ds is a global leader in hardware sales. Also in software sales. Dare to contest that? Go research it! This system truly outshines the Switch in versatility and practicality and is a favorite amongst gamers of all kinds, young and old. Phasing out the 3ds could crush Nintendo in the long run, once the novelty of the Switch wears off. What bothers me most about the Switch (and yes I own one too) is that the battery in it is terrible, the wifi reach is terrible, and the catalog of games for it is mediocre at best. Compare that to the 3ds, with a catalog of thousands and thousands of games, a great battery, portability, strong wifi, and even a self-protecting housing (closing so it protects the screens), what's not to love?! That is and always will be the best game system ever made. The PS4 outsold the 3DS a few months ago. Global leader it is no longer. Nintendo plans to ship more Switch hardware over the next year than all 3DS software combined (20 million Switch units vs 16 million 3DS games). Nintendo clearly doesn't expect much from the 3DS anymore, even if they do pledge to continue support into 2019. The Switch is the future for Nintendo. The 3DS is not. Just kill it and move on! If it sells, they'll keep selling it. Really don't understand all these complaints from people who want the system 'killed off'. They obviously have no grasp of business studies or economics. And they are also clearly not the audience; but the people who don't want to/can't drop money on a Switch have a fantastic, cheaper alternative. It has over 1,000 games and the 2DS in particular is like a tank. I think any time spent by Nintendo developers not making great games for the Switch is time wasted. I don't want the system to die outright, there is a ton of games available for it and more to come this year. But I would rather they spend their time making great Switch software. I would rather 3rd party developers only consider Switch titles instead of 3DS titles. We are already hearing of people bored with their Switch, complaining about a bad start to the first 4 months of 2018 etc. That could be avoided going forward if everyone concentrated on the Switch. A cheaper slightly more portable Switch is bound to come in the next year or so anyway. @Amrulez "But I would rather they spend their time making great Switch software." Nintendo's software division isn't just one level of programmers. They have teams of people that are assigned to projects based on importance; notably an 'A' and 'B' team. If you believe that the A team will still be producing 3DS software (a platform with over 1,000 titles), you're sorely mistaken. "We are already hearing of people bored with their Switch, complaining about a bad start to the first 4 months of 2018 etc"
All users are accounted for from reading internet comments/YouTube videos? The sales figures are the reality of the situation, because new customers have access to an already incredible library of games. "A cheaper slightly more portable Switch is bound to come in the next year or so anyway." Based on what evidence? Miniaturising the hardware - even if it was possible - would have no positive effect on Nintendo's strategy. In fact, it would only damage it. Developers would have to redesign their software for the smaller display in handheld mode; a smaller unit has no competitive advantage over mobile devices; and the marketing of a 'Switch Mini' would only confuse customers again. The last thing Nintendo need to do is release a 3DS successor. Supporting one platform is the way forward for them. The 3DS certainly has a sizeable install base, but it's not particularly engaged. Nintendo's low software shipment forecasts for the 3DS this year is indicative of that. Pokemon Ultra Sun/Moon was the only new release that sold over 1 million copies in 2017. The only other 3DS million sellers in 2017 were Mario Kart 7 and NSMB2, two old games that are generously bundled. The two highest rated 3DS games of 2017, Fire Emblem Echoes and Metroid Samus Returns, both failed to crack 1 million copies sold by the end of the 2017 fiscal year. I simply can't imagine Nintendo actually supporting the 3DS much in 2019. A low-budget 3DS game or two will probably be announced in 2019, but that's it. Depends what older games you're talking about. I still like a lot of 16-bit 2d games but very rarely go back to PS1/N64 3D games. With the 3DS, the poor quality small screens are a factor as well as the graphics themselves and there's nothing released for it that's enticed me to get past that for a long time now. I can't discern exactly how big a part the graphics and screen play, but when it comes down to it my gaming time is limited and I've got 4 other systems, and the 2DS isn't getting a look in. @Emperor-Palpsy Obviously just my opinion but I want all levels of their programmers making software for the Switch not just the A teams. Go on Reddit and a lot of other Nintendo forums and you will see what i mean, some people are saying great first year for Nintendo terrible second year SO FAR. Yes it is the internet and people love to [removed] but they have a point about the lack of great games being released SO FAR this year. Sales figures are great, that doesn't mean the system couldn't have used more triple A type games from both Nintendo and other teams developers. This is Nintendo, there will definitely be other Switch sku's, there will definitely be a cheaper version of some sort. As long as it keeps complete compatibility with the Switch family of titles nobody will be confused. This isn't a Wii-Wii U situation. I get they still want to sell more 3DS/2DS consoles and software. It makes sense for their bottom line but it isn't the best move for the Switch family. Just my opinion, have a good day. Good. 3DS should be kept around as a budget option, at least until Switch gets an inevitable hardware upgrade, probably by 2020 or 2021. (Every handheld Nintendo console after OG GB has gotten some type of significant hardware upgrade SKU within about 4 years after launch.) Then the OG Switch SKU can be the budget option, and newer Switch SKU be the modern option. Another thing to keep in mind is that this means online support for 3DS titles will continue for longer than if 3DS support was being discontinued right away. Remember when Wii and DS online support was discontinued? Yeah, it would be a bad thing to do that to 3DS so soon. As long as 3DS provides something that the Switch doesn't (namely the 2 screens) I will continue to support the console along with my Switch. Heck I've been waiting almost 20 years for the next Game Boy game to be released, but sooner or later I'll be happy I kept it. So many pathetic and insolent Switch owners crying about Nintendo supporting the 3DS. The Luigi Mansion engine is already ported to 3DS - it makes sense to port the original - probably a small team in a relatively short time frame at low cost. Wise up and grow up. Nintendo are right supporting the 3DS - it doesn't take up much resources, they support mobile now too - the fact is a business can't put all its eggs in one basket. Yay, more stability updates to look forward to! In all fairness Nintendo are only slightly supporting the 3DS,as most of their development focus is now on the Switch. The 3DS will continue to sell based on it's existing library rather than masses of new titles being made for the machine. Why would Nintendo discontinue it's line of gaming machines in the $80 - $200 range and ONLY have a solution in the $300 range? Especially since those gaming machines sell ten of thousands every month? It makes perfect sense to keep it alive. If you as an individual do not want more 3DS games, don't buy them. I am not that bothered. If there's still good stuff released on the 3DS I'll still buy. But honestly, the really big stuff is behind us. Now its just simple ports and remakes on the 3DS. The same happened with PSOne. Almost everyone left. The last few years it only had poor ports of poor multiplatform-games (like Harry Potter). The Switch is portable ofcourse but it does not fit in your pocket. @BARSAMAN This argument no longer holds ground. It fit perfectly in your pockets with the original model. Thing is, people preferred the bigger screen models over the portable sizes models. It's why the standard n3DS never came over while the XL did. The majority prefer function over portability, that's what statistics have shown. 1.) Puzzle & Dragons X -my god bring this to me with a cross over with Metroid or Fire Emblem instead of Mario. 2.) That Final Fantasy Picross style game with RPG elements. A robust virtual GBA release schedule would do wonders for the mega-millions of 3/2DS owners! Money machine with still lots of life. I think it makes sense. Switch is the premium handheld and out of the range of some families/kids. So selling the 3DS until it stops selling is fine as a budget option. N has no clue what they are doing anymore. each gen is throw spaghetti at a wall and see what sticks. next gen they'll make a tricycle with a screen and call it the next thing or whatever. or bring back the virtual boy in color or something equally stupid. Big hype for this! 3DS just might be my favorite console ever! Lets go boys!!! I hope Nintendo continues with these more pocket friendly portables. For me, the Switch is only portable within the house. Ok but are they atleast going to make upcoming games N3DS exclusive? 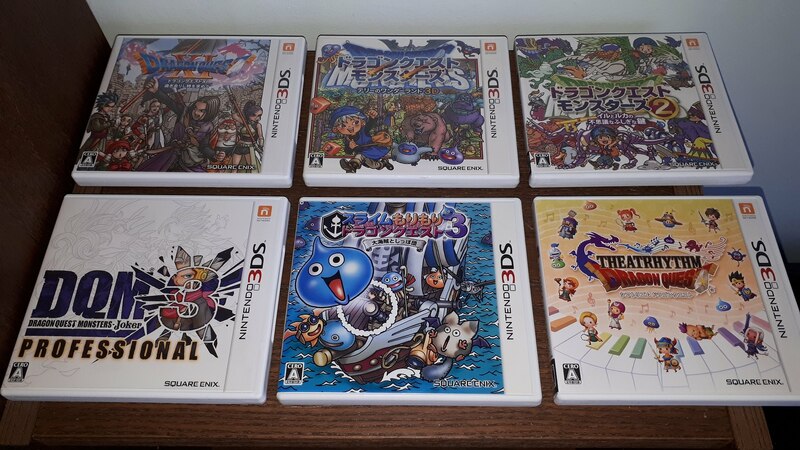 -A bunch of Dragon Quest games. I can play these on my Japanese model, but it's really not fair that Western audiences won't be able to play these at all without either a Japanese console and/or extensive Japanese language skills. The 3DS is the Switch of the little people. Parents will buy a 3DS for their kids, not a Switch that costs three times more. And parents usually dont do any research, they just care to pay less for some amount of entertainment for their kids. 2019 And the newer Nintendo 3DS?Or 3DSi? I don’t mind. I like playing my new 3DS XL as much as the switch. And all my other consoles. 3DS graphics and resolutions are just fine. And if Nintendo made one more upgraded 3DS I’d buy it. My 3DS is still a regular part of my gaming hobby. 7 years and still chugging right along. Nintendo's best handheld system ever. Great news! I love my 3DS. If only Sony would do the same for the PS Vita I wouldn't mind seeing an updated version of Metroid Prime Hunters on the 3DS and a sequel. The awkward controls and limited hardware of the DS really gimped that game. It would be much better on the 3DS. I really don't mind keeping the 3DS around, just as long as Yo-kai Watch 3 is localized. If that Zelda Link's Awakening 3DS rumor is true, then I'll be playing it for sure. Other than that, my 3DS will probably gather dust for the rest of time. It was a great handheld during its heyday (2013 was glorious as a 3DS owner), but it's time in the spotlight is over. The 3ds still offers a far superior handheld experience than the switch due to build quality, battery life and game library. Nintendo needs to stop clinging onto the past with the 3DS and move on, because I have and I think most of the market made the move with me. I mean don't get me wrong, I still have 3DS consoles and I love them but I am simply not interested in spending any more money on the platform, I am done with it. It's been great but the Switch is where I want to be spending my money on portable games for now on. I honestly think the main market for the 3DS at this point is kids. It is sort of the Fisher Price handheld as far as game consoles go. It is cheap, durable (kids can toss it around and be relatively careless with how they carry it and you don't really need to worry), and it is full of cheap kid friendly games. Since they are really young they won't have the kind of demands that older gamers would have and could easily enjoy it's more primitive design. I see the 2DS as still being a great item for kids, although they might want the Switch by now for Mario Odyssey and the upcoming Pokemon game. @invictus4000 What major games? The only major exclusives are WarioWare Gold, a mini games collection, and Dillon's Dead Heat Breakers. The Rest are ports and games also coming to switch. While the Switch is indeed technically superior and certainly more versatile, the 3DS still has a number of unique features to it, so I understand why Nintendo continues to support it. While not as popular anymore, the glasses free stereoscopic 3D is still one of its biggest selling points. In addition, including the XL version, it's truly portable in ways that the Switch is not such as being small enough to fit in your pocket and being easy to place in sleep mode. There are also the dual screens, microphone, and always available touchscreen that make it more suitable for certain kinds of games. It has an Internet browser and cameras including 3D photos. Finally, it handles local multiplayer in a different but not necessarily inferior way: while everyone does need their own systems and often their own copies of the game, each player also gets his/her own individual, private screen with as much personal space as needed, along with the ability to StreetPass as a bonus. I’m super happy they’re still supporting it! It sounds crazy but I’ve actually been looking at getting a new 3ds xl to upgrade from my original blue one haha even though I’ve got a Switch I love my 3ds and have so many games to finish on it! I gave away my 3DS many months ago. The Switch is where I am now. It is my choice when it comes to everything gaming now (either at home or on the move). I don’t mind if 3DS games continue to be produced (for those people who can not afford a Switch, or those who simply can not let go of the past - like my little sister who still loves her 3DS). Just so long as the games being made for the 3DS do not make (or have) an impact on the games (or quality of the games) that are made for the Switch. I want to see Nintendo’s full attention given to new Switch games. haaaah I agree with you. I love my switch but I still want to give me 3ds a bit of play time. I have tons of games on it that i played in the past and still want to come back to. the 3ds is fantastic. stop dissing it. Unless they bolt a DS / 3DS slot towards the switch, with full blown VC support and a 3D screen. 3DS for my part could stay for another 8 years. I just wish they forced there first party's to push 3D no matter what on new titles like pokemon or make a handheld that makes it totally free with a second pica to just render 3D for free. 3) ips hdr screen with 1200x720 resolution 3D screen ( 2400x720 in 3D ) pica supports hdr. 6) unlockable framerate and control over your hardware yourself with a menu. 8) give access towards android shop to install apps with it. 9) control over software so you can force higher framerates and 3D on any game. 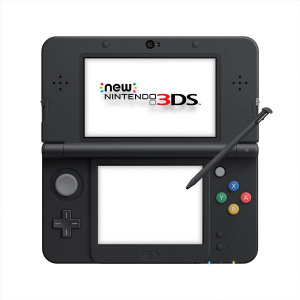 3D is what makes the 3DS stand out against any other product on the market really specially on handheld department and they should have focused on this way more throughout the years. Release this handheld in 2019 for 200-300 bucks all i care about and start ramping up software for it once again. It good to see them still support it and i hope they ramp up with this E3 some more games for it. I am planning to buy a 2ds xl or 3ds xl this oct or maybe nov so I can play pokemon ultra sun and moon. That's the only game that I want to play. I am still hoping for nintendo to make pokemon games for 2ds/3ds in the future. I've red some articles that nintendo would be focusing the pokemon franchise on switch and now that 3ds is slowly dying. Idk now if buying 3ds is still worth it? If yes then what games are worth playing? @Flippedfoxdrei Game Freak makes them, not Nintendo, and they've already said they're done. This president of Nintendo is just doing more PR, because the 3DS IS going to die in 2019- it's already got 65% year-on-year sales drops, and that was before Pokemon moved over to Switch. When the next mainline Pokemon moves over in 2019, expect the 3DS to have even larger drops next year, and that's going to mean selling FEWER than Wii U did in its final year (less than 800,000)!! There's no way this thing sees 2020, not with Pokemon moving over, because Pokemon carried it the last few years. @westman98 7 months later and no Zelda announcement for 3DS tells me it wasn't true. As you see every 3DS release in 2018 so far has fizzled, and failed to even chart longterm. This shows how the market is dying- pretty fast too as Nintendo reported 65% drops year-on-year. Do that again, and it'll be selling less than Wii U in 2016! Nintendo doesn't want to say that, but it's true, 65% drop of 1 million is 350,000, not exactly stellar! Not to mention too that Pokemon, the one franchise keeping 3DS alive is about to move to Switch (more than Let's Go) next year, so that drop is likely to be even bigger than that. I love my 3ds xl. I am really sad to hear that it is going away. I play it more than my switch to be honest.